If you haven't read it yet, this New Yorker article by Jane Meyer is the greatest piece of investigative journalism we've seen in ages. Glenn Greenwald has hailed Meyer's work as an indictment of Obama's war against whistleblowing. It is that, but it is also much more. Meyer gives us the closest, most penetrating look available at the modern NSA and its capabilities. 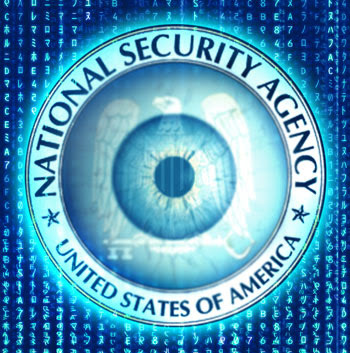 This humble blog spent a lot of time talking about NSA overreach during the controversies over Russell Tice and FISA. Meyer's piece confirms a long-held suspicion that the real problem wasn't eavesdropping on telephone calls but automated data-mining of all forms of electronic communication. Two competing computer systems were designed to take us into this brave new world: ThinThread and Trailblazer. (The system in place now is called Turbulence. Someone at NSA has a strange affection for the letter T -- which is also the first letter in totalitarian.) Trailblazer turned out to be a costly boondoggle. ThinThread worked. Originally, it had provisions built in to protect the privacy of American citizens; NSA Director Haybed tossed out those barriers. Meyer focuses on an NSA whistleblower named Thomas Drake, who tried to blow the whistle on the Trailblazer fiasco -- and on the abuses of privacy -- to a staffer on the House Intelligence Committee. Unfortunately, the Committee was headed, at the time, by Porter Goss -- and by Nancy Pelosi. They both seemed deaf to what Drake had to say. Frustrated, Drake eventually spoke to a reporter at the Baltimore Sun. His current legal troubles concern allegations that he stole classified documents to give to this journalist. Meyer's piece suggests that the claim is baseless. It must be underscored that Drake's real "crime" was blowing the whistle on a $1.5 billion boondoggle favored by NSA Director Michael Hayden. Nothing Drake did or said could be rationally construed as giving aid and comfort to an enemy. Yet he is being tried under the espionage act. The congressional staffer also underwent severe legal persecution, even though she quit her job and moved to Oregon. The description of the raid on her home makes for harrowing reading. A political note: I'll be interested to see if this piece gets any play on the right. The theme of NSA domestic spying has a certain resonance among rank-and-file tea partiers, the kind of people who gravitate toward Ron Paul. But even those dullards must understand that any Republican who achieves power is only going to make the police state even more nightmarish. If Obama were to drop the charges against Drake, the worst howls of protest would come from congressional Republicans. If Obama continues to persecute Drake, the worst howls of protest (at least on the internet) may come from libertarians -- who vote Republican. Odd how that happens, innit? A pop-cultural note: Many of you will have read Dan Brown's novel of the NSA, Digital Fortress, written when his literary career was just getting started. Whatever you may think of Brown as a stylist, it is clear that he had (as claimed) an inside source at No Such Agency. In that novel, the ultimate computer system is called TRANSLTR. This is clearly Trailblazer, given a light coating of fictionalization. I wonder if Brown's sources will see the inside of a courtroom? When will the 'bots wake to the fact that Obama is not their friend. The only reason he made nice to the GLTB community was to scrounge a few more votes last November. Closet republican or spineless, the result is the same. As somebody said: The lesser of two evils is still evil. Thanks for highlighting this piece. Obama's FISA revision flip-flop was one of the first incontrovertible pieces of proof he was not what he was advertised to be. It also showed his followers true colors. He promised to vote no on the FISA revision if it included retroactive immunity. Then he voted yes, even though his vote was not critical. His followers said FISA w/RI was a major issue. (They were right about that) When Obama flip-flopped, they threw it down the memory hole. BTW - It was Dirty Harry Reid and the Democrats that rushed the FISA revision to a vote right before the election. Hillary voted against it. AGs are independent actors once confirmed and installed, and need only take the president's slightly irregular interference with their judgment if he's willing to fire them if they don't. Generally, I think it's improper for a president to order this or that prosecution, or to order them stopped. Perhaps Obama has little more than nominal authority in such matters, and is allowed to keep his nominal authority only if he doesn't exercise it? I consider the prosecutions mandated by the national security state (just as other more warranted prosecutions are called off by the national security state), for its own internal consideration reasons. I get a broken link to the article. Did it move? I fixed the link. Not sure what went wrong. "G'Damn-it Joe!" I was just putting the finishing touches on a small post about this and you "Scooped me!!!" After reading the article, I found it much harder to contemplate circumstances under which I would support Obama's reelection. In terms of how its received, one thing that struck me was that the two heroic figures featured in the Meyer story--who faced the wrath of the FBI--were card-carrying Republicans. This is a story of patriotic, Consitution-defending, lifelong members of the GOP getting screwed by the Feds (first by Bush, now by Obama). If today's Republicans won't stand up for their own, they are beneath contempt. Also, if Obama thought the abuse of Private Manning had become something of a PR headache, he ain't seen nothing yet. What Obama is doing to Drake has the makings of a nightmare for the president: Obama is actively working to destroy a a courageous defender of human rights and fiscal responsibility, a highly principled hero through and through. As David and Goliath tales go, it's breathtaking. Read and passed on both articles....thanks, Joseph. Thank you for this important post. I think this is an area which thoughtful liberals and conservatives could agree is truly scary. i need this article's promotion to stay at the top. Its only been exposed in rare instances and needs more readers. Thank you for revealing the piece.